NEW DELHI: The latest edition of the Hero I-League kicks off on October 26, 2018 (Friday), with the first match seeing the Indian Arrows take on Chennai City FC in Coimbatore. The season will be the second one on the bounce for the Arrows since their reinstatement and this time around, they will be hoping to improve upon their performances from the last edition, where they finished tenth, and gain valuable match experience. 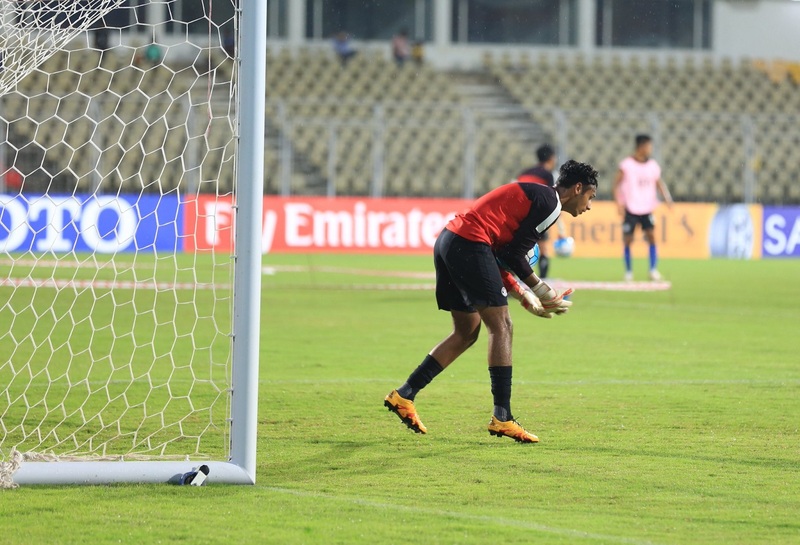 In goal for them yet again will be Punjab-born lad Prabhsukhan Singh Gill, who was also part of the Indian team that took part in the FIFA U-17 World Cup last year. He spoke to the-aiff.com on the sidelines of the I-League launch event and talked about the challenge that lies ahead. “The team meetings are also quite enriching. They are scheduled quite regularly and are often brief and to the point. Floyd sir explains all the details really well for us to grasp and I feel we have really benefitted from his guidance,” Gill added.